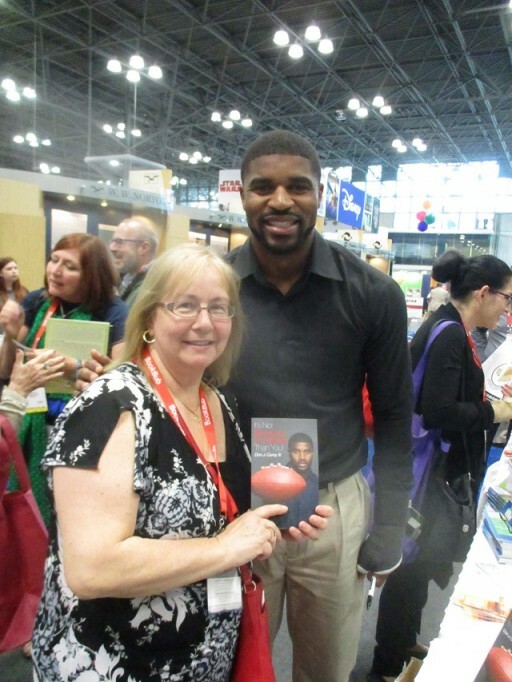 BOOK EXPO AMERICA 2017: Lots of great authors! 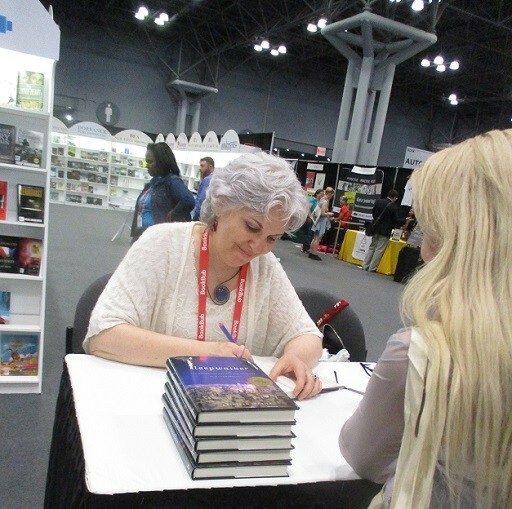 BEA’s annual encounter in New York (which by the way has missed a step last year by exhibiting in Chicago instead) started under a bad auspice on Wednesday, May 31st. Our journalists encountered uncompleted booths, unreliable directions and basically no real Show, leaving the premises after a useless attempt to make sense of the disorganization they stumbled upon, a first for this usually magic exhibition. Fortunately, BEA partially redeemed itself on the two following days, although some lagging problems puzzled me. What happened to the beautiful organization behind the previous years, when at the autographing boots you could confirm the identity of the book to be signed also by photographs? What about their APP giving you some information about the book and author you are attempting to retrieve? And the missing information on the pamphlets about the books’ content? Well, life is not perfect, and I guess mishaps happen, but I do believe that the much smaller number of exhibitors was tied to last year’s abandonment of the City that never sleeps. Regardless, there were still plenty of great surprises that made up for the disappointments. One of these was the large number of first-time authors assembled in an easily reached common area. 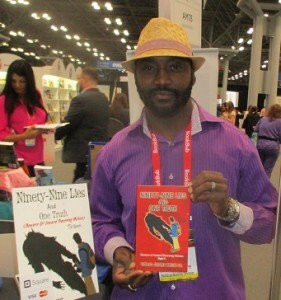 There, you could find Thomas Jerome Wright Sr. presenting to the public his spiritual guide to finding themselves through the awareness of “technology’s many lies”, Ninety-Nine Lies and One Truth. This is a book about awakening mass consciousness. 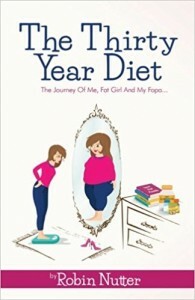 An interesting book from that section was also The Thirty Year Diet: The Journey Of Me, Fat Girl and My FOPA by Robin Nutter, a hilarious recollection of her 30 years battle with diets and her long standing identification with the ‘fat girl’ persona. 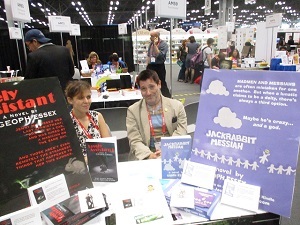 Interestingly enough, in the proximity of these writers there were also two other fascinating authors with their books. The first was Fred Clark Sr., born December 1930, who was studying abroad in Cuba when the revolution broke out and the university closed. He stayed and wrote a murder mystery inspired by his time there, The Door Of Death. Clark went on to become a lawyer and work for Prentice Hall as a senior legal editor. The manuscript laid dormant for over fifty years and was finally published on Amazon with the help of his son in 2015. 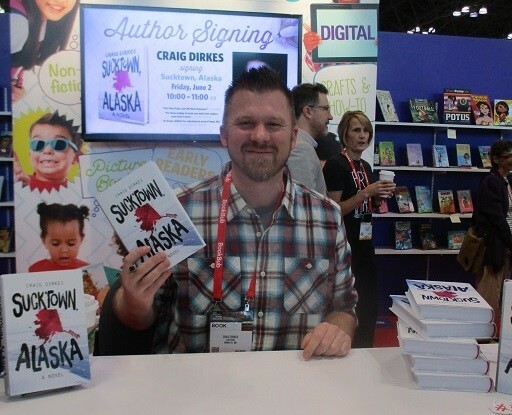 Clark is likely the oldest first time author at BEA 2017. 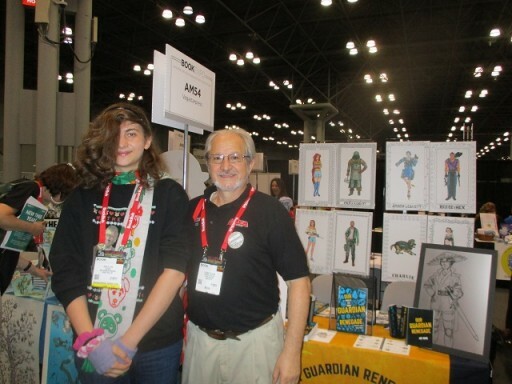 The other pleasant surprise was the 16 years old Harley Zed Mona with his Our Guardian Renegade, a science fiction saga with a huge cast of vivid characters and factions into the fray. An Art Book with colorful illustrations of the various characters and symbols is also available. 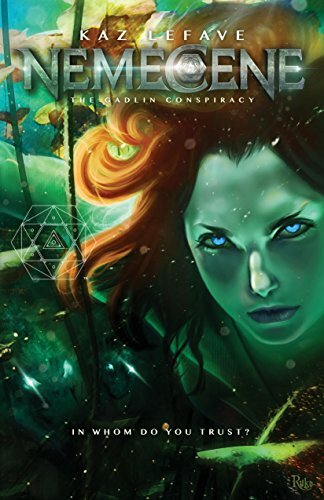 I am certain this book will be followed by others, since it opens a new world (Senia) to the lovers of Science fiction…. 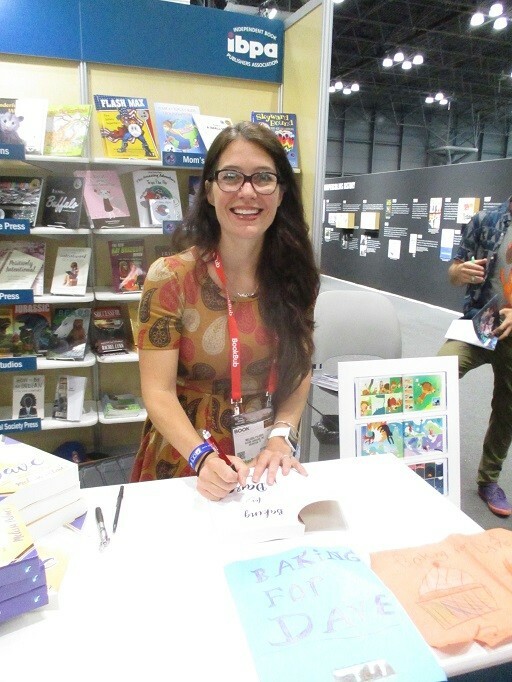 Mona may be the youngest first time author at Book Expo America 2017. 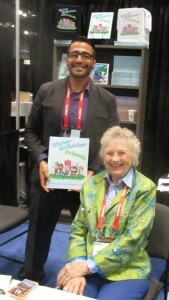 … So, as the day went by, the encounters with the authors revealed themselves to be exceptionally interesting. 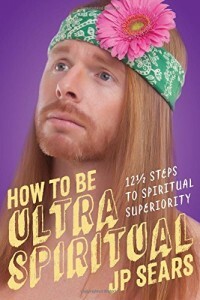 The hilarious J.P. Sears presented his How to be Ultra Spiritual, 12½ Steps To Spiritual Superiority, a book that claims to contain expert-level master training in competitive spirituality, dreaming up your awakening, mindfulness, merciless meditation, how to be nonjudgmental and much more… With 100 million views on his YouTube channel, Mr. Sears has proven that he can deliver great humor and I believe this book does just that…. 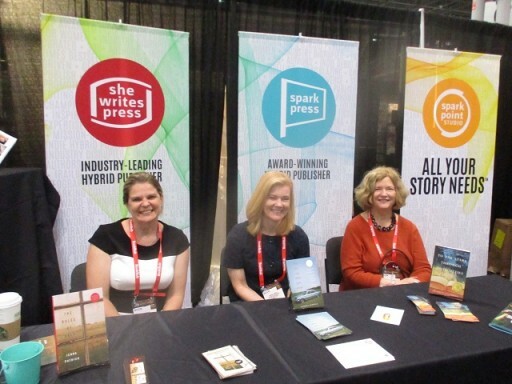 Three more debuts offered visitors and readers alike attention-grabbing topics. The first was The Rule of Half, a novel by Jenna Patrick. It explores what it means to be an atypical family in a small town, mentally ill in the wake of a tragedy, and most importantly, who has the right to determine both. The second was To The Stars Through Difficulties, a charming history of the birth of a cultural center in the Plains by the No Guilt Quilters, a group whose foremothers built 59 Carnegie libraries in Kansas a century before. Gayle Brandeis called it a “wildly inspiring love letter to libraries, to art, to Kansas, to community.” A memoir that the Washingtonian Magazine called “…as riveting as a mystery and as filling as a feast,” was the last of these first-time authors’ book, I’m The One Who Got Away, by Andrea Jarrell. The book, which will be available September 5th, reads like a thriller, but it’s a true chronicle of the author who, as a child was a fugitive with her mother from a man as alluring as he is violent, and as an adult she has an epiphany when a woman she knows is murdered, and she realizes that it’s her mother’s choices she has been trying to escape all along. Melissa Palmer’s delightful Baking For Dave is a novel that addresses the fears that people with autism, or Sensory Processing Disorder, of any level confront in doing every day’s tasks. It does so with delicacy and a pleasant style, describing the ‘road trip’ of an adolescent who runs away to compete on a national bake-off. To get there, she will need to “borrow’ her mother’s car, cross stateliness, and do the most terrifying thing of all, interact with actual people! Ms. Palmer stated that she created the world and characters in the book building it on her experience with her two daughters. A definitely pleasant surprise was meeting Marvin Scott, the legendary journalist from WPIX Channel 11 who has left a deep imprint upon us all in the news field with his flawless and emotionally charged reporting. Looking exactly as I remembered seeing him on TV through the past thirty years, Mr. Scott confirmed himself to be a true gentleman and a pleasant conversationalist, offering us a summary of his book; a brief interview will appear on a separate article. 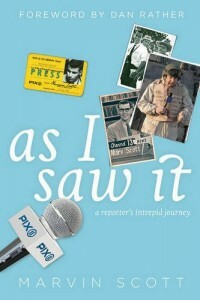 His nonfiction book, titled As I Saw It; A Reporter’s Intrepid Journey, is a reflection on the stories that have stuck with him personally over the years, and the people who gave them life. From Dr. Martin Luther Kings’ marches to a tense interview with Yasser Arafat, from bringing Christmas to our troops to conversing with Marilyn Monroe, his more than 50 years adventure in reporting, which has brought him eleven Emmy Awards, is offered to us in passionate glimpses of the most heartfelt encounters and situations. This is a book that will be enjoyed by everyone. 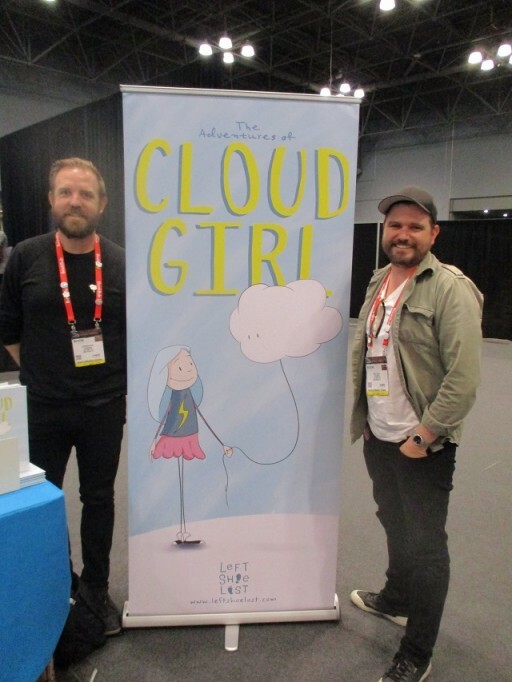 There was a sizable presence of children’s authors at the BEA, mostly presenting brightly illustrated books with a learning message, but some of them deserved special attention on our part because of their high quality of content or presentation. 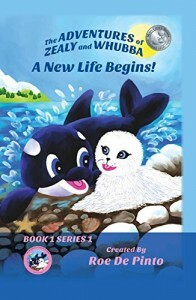 Roe De Pinto’s series of books on Zealy, a little seal pup with sparkly eyes and beautiful, silky white fur, and Whubba, a precious baby orca whale, are visually pleasing and teach about friendship among different individuals. These are books to be praised for their sturdiness, an advantage for early readers, besides their content. A ‘bravo’ for the author’s as well as the publisher’s choices. 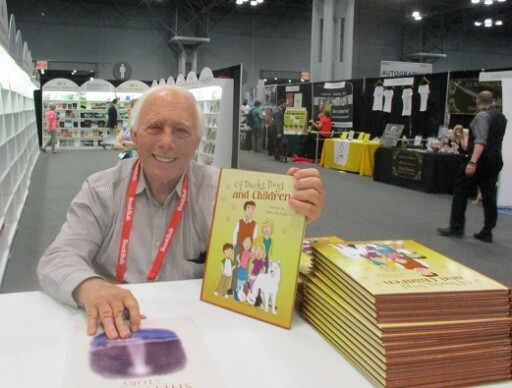 James McNally’s two books, Of Ducks, Dogs And Children and The Shepherds’ Story, are marvelous gems of children’s books, with great stories, illustrations and moral teachings. Aimed at people who want to improve both their career chances and their life, Take Charge Of Your View, Career Advice You Won’t Get From Your Boss is a brilliant manual that can really be useful if followed attentively. In it, Lisa Prior will teach you how to develop new skills for career and life, analyze various aspects of your life and behavior, and how to pitch to your boss without creating a confrontation. Charts, lists of useful tools, and plenty of examples enhance the book and make it even more enticing. A superb work of drama, Annie Baker’s John is a play that received its Off-Broadway world premiere at The Pershing Square Signature Center in New York City. 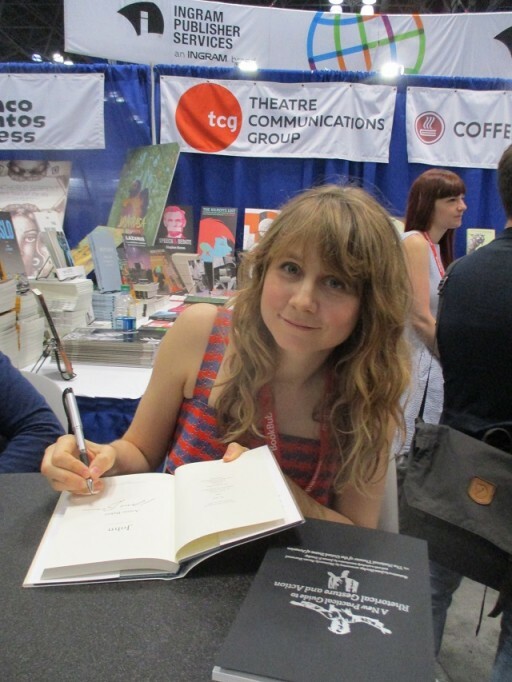 Theater lovers have now the opportunity to purchase the book with the play by this awarded playwright. There were two books that touched me deeply for their content and the courage of their writers in approaching the subject. The first, Sleepwalker by Kathleen Frazier, is a compelling tale of the author’s terrifying experience with her somnambulism and her long travel to achieve freedom from this condition. Ms. Frazier bluntly describes her struggles, attempts and failures to find a solution and the final epiphany that brought her recovery from being a sleepwalker. 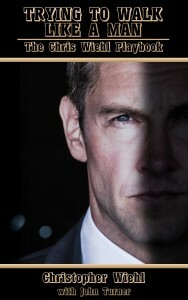 Trying To Walk Like A Man, The Chris Wiehl Playbook is a wonderful autobiography by the actor/ filmmaker Chris Wiehl, written with ex-actor/writer John Turner; it has sensitivity, honesty and a true account of overcoming apparently unsurmountable difficulties that will grab the heart of the reader and will keep it prisoner until the end. 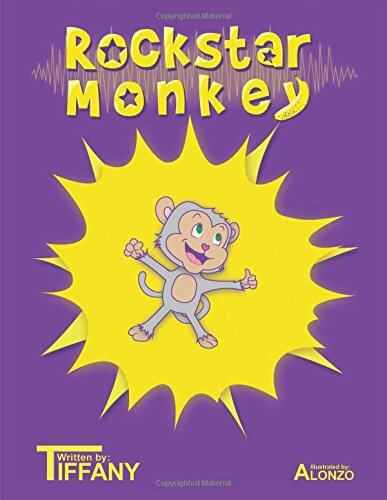 In it, the author gets a brain tumor removed, leaving him partially deaf. It’s not only a story of a man prevailing over the aftereffects of a brain tumor, though, but it’s in reality two stories, one of them unwritten in this book: John Turner was also an actor when he was brutally assaulted and left with traumatic brain injury. 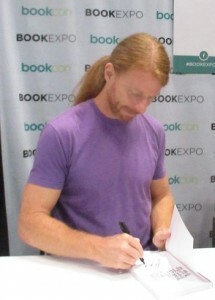 After that incident, John no longer had the capabilities to perform, so he established a career as a writer. Their book is therefore more meaningful because of the experience that Mr. Turner had, which allows him to capture Christopher Wiehl’s true feelings and passed them to the reader fully unaltered. 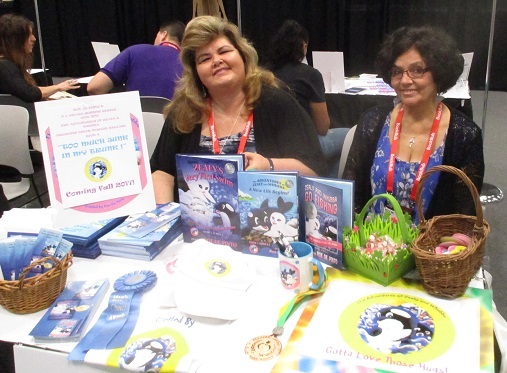 More children’s books at the Book Expo America 2017 attracted my eyes for their value as teaching life lessons while entertaining the child. 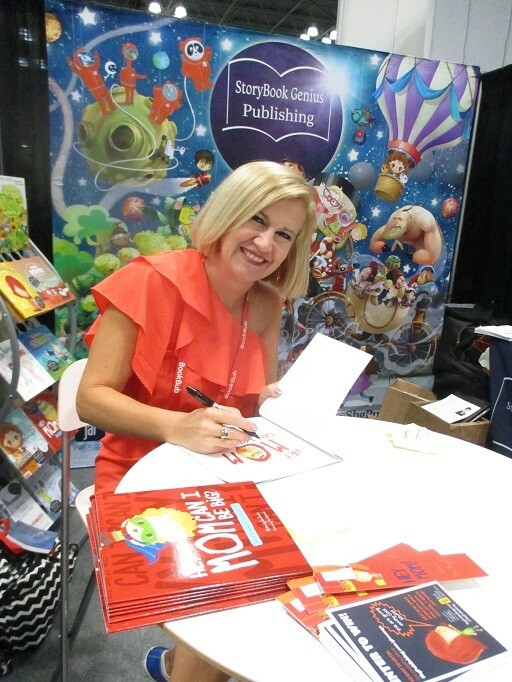 One of them is Hey Mom, Can I Be Big?, an appealing story aimed at toddlers or early readers by Cari Pointer and illustrated by Hazel Quintanilla. The tale is simple and to the point: sometimes it’s easier being small and let someone big take care of you or protect you. 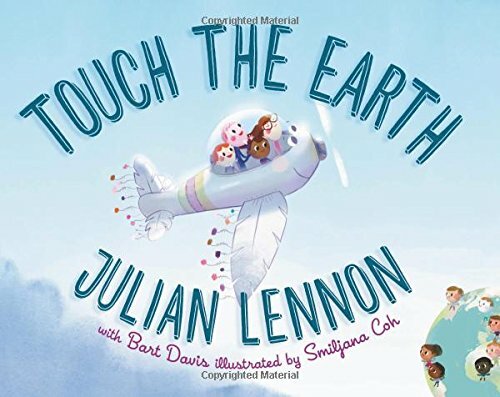 Julian Lennon’s (yes, that Julian Lennon) Touch The Earth is a marvelous story aimed at making kids 3-6 years old aware of the importance of water and how the lack or the poor quality of it may influence people’s lives. Excitingly illustrated by Smiljana Coh, the book is written at four hands with Bart Davis and it also contains a poem by Julian Lennon. A portion of proceeds from book sales will go to support the environmental and humanitarian efforts of The White Feather Foundation. Geoph Essex’s Lovely Assistant is an offbeat adventure of modern magic and mayhem, in which a reluctant magician’s assistant discovers the secrets of life and death, slowly and awkwardly, just in time to save the world from the oncoming apocalypse: a program into itself. Readers will love its quirky humor and outlook on life. 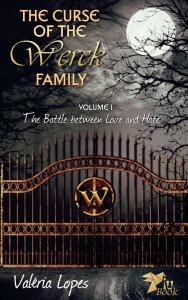 Written with a different perspective, The Curse Of The Werck Family, a set of two books, claim to have been given to the author by the spirit of a woman who accompanies her as a guardian angel. Written originally in Portuguese by Valeria Lopes, the books are quite interesting, especially for readers who like mysteries, and follow the events unleashed by the killing of a whole family during the Spanish Inquisition. 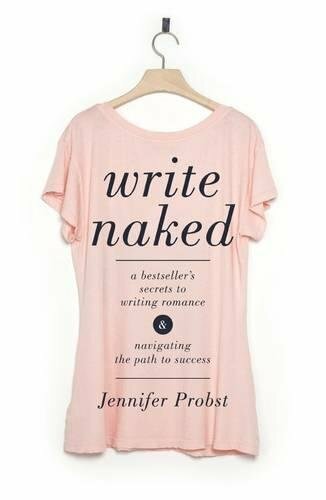 New York Times Best-selling author Jennifer Probst reveals her path to success, from struggling as a new writer to signing a seven-figure deal in Write Naked, in which she intermingles personal essays on craft with down-to-earth advice on writing romance in the digital age. This book will teach you how to commit to your current work-in-progress, get focused, and complete it on schedule, overcome writer’s block and also how to reveal raw emotions, develop themes, and write the most difficult elements of romance with skill and style. It’s practically a manual on writing romance novels, and a good one at that. 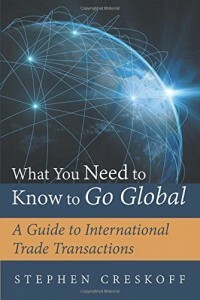 Another manual of sort is What You Need To Know to Go Global, A Guide to International Trade Transactions, by Stephen Creskoff. Obviously aimed at a limited readership, this book is a valuable implement to comprehend all the insights of international trade and could easily be used as a textbook in that subject. 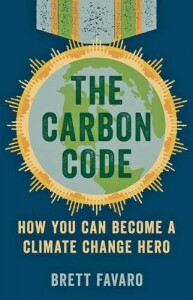 A thought-provoking book that answers very thorny questions regarding the use of fossil fuels and its damage to the environment, offering simple strategies to help you reduce your carbon footprint without abandoning common sense is The Carbon Code, How You Can Become A Climate Change Hero by Brett Favaro. The author claims that people don’t need to be climate change experts to be part of the solution, and that he will show you how to take ownership of your carbon footprint and adopt a lifestyle of conspicuous conservation that will spur governments and corporations to do the same. A great book for people who believe the Earth is worth saving. Bravo Brett!! 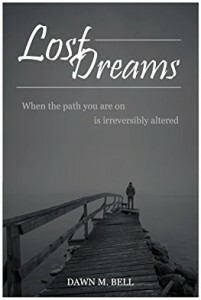 Lost dreams is a collection of short stories that were winners of a contest requesting nonfiction portrayals of loss in less than 4,000 words. 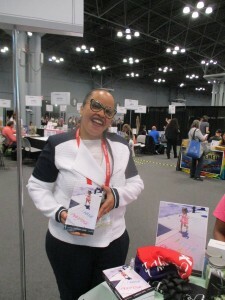 The book wants to illustrate that dreams are lost in many ways and each will produce its own manner of grief, and by collecting these stories the editor, Dawn M. Bell, wants to encourage compassion for all types of loss, no matter the measure. She claims that ‘all loss is the loss of a dream. The dream is the path thought their life would take, how they envisioned their future. The path is irreversibly altered by the loss. While some losses may be deemed less painful, the first loss is ground zero for the sufferer. It’s the worst pain that person has ever felt and should not be minimized.” These stories offer a brief but significant view of how it is to walk in another person’s shoes. 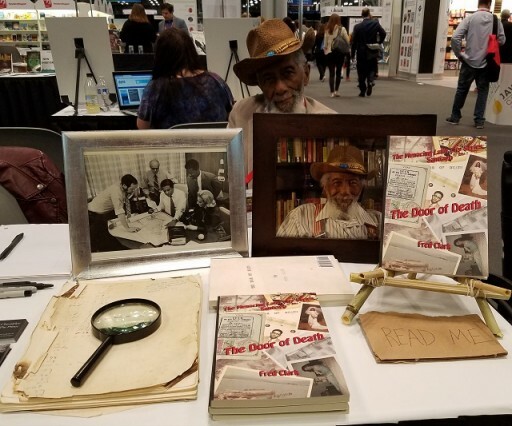 Another three days of scrambling through the booths to discover the hidden gems of the Book Expo America has gone by, but they were fruitful (though really shortened to two, thanks to the organizers) and these four articles proved it. Some authors’ interviews and book reviews will follow in time, but in the meanwhile I leave you with the recommendation to read and read again, because books are precious and so is your mind.